Growing up in the relatively small town of Great Falls, Montana (population 59,000), we didn’t see too many tourists. The biggest event of the year here is Western Art Week, a series of art shows that brings in thousands of people each spring, and the annual State Fair and occasional rodeos bring in people from the surrounding areas. Otherwise, a few people fly in on their way to visit Glacier National Park, which is two hours away, and some Canadians used to come to take advantage of the lower cost of shopping, but that’s about it. The lack of tourists in Great Falls got me thinking: if you aren’t from a large city where tourist attractions are plentiful, like our former home of Boston, what advice would you give visitors in your hometown? If friends or relatives were coming from out of state, where would you suggest they spend their time? To answer those questions, I tried to put myself in the shoes of someone visiting Great Falls for the first time. 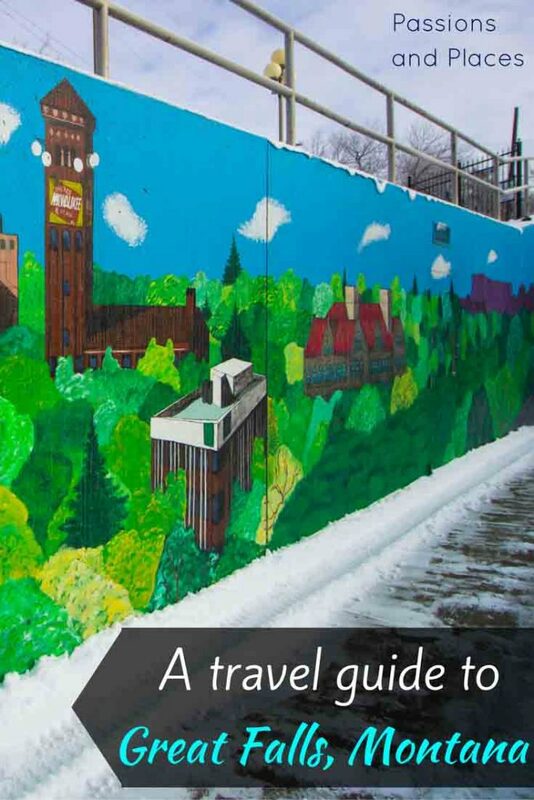 If you’re headed to our hometown, this guide will help you make the most of it. The lack of major attractions here and in many small towns has one upside: nothing is too touristy! Artist Charlie Russell might be Great Falls’ most famous resident in history; he created some of the most enduring works of art depicting the Wild West in the late 1800s and early 1900s. 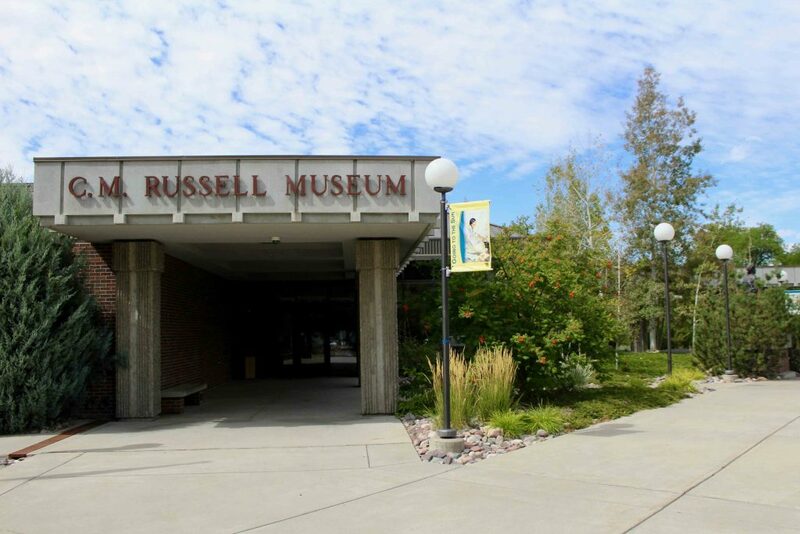 The Russell Museum houses over 2,000 pieces of his artwork (along with thousands of works from other Western artists), as well as his personal effects. The museum complex also contains Russell’s home, built in 1900, and his log cabin art studio built a few years later. 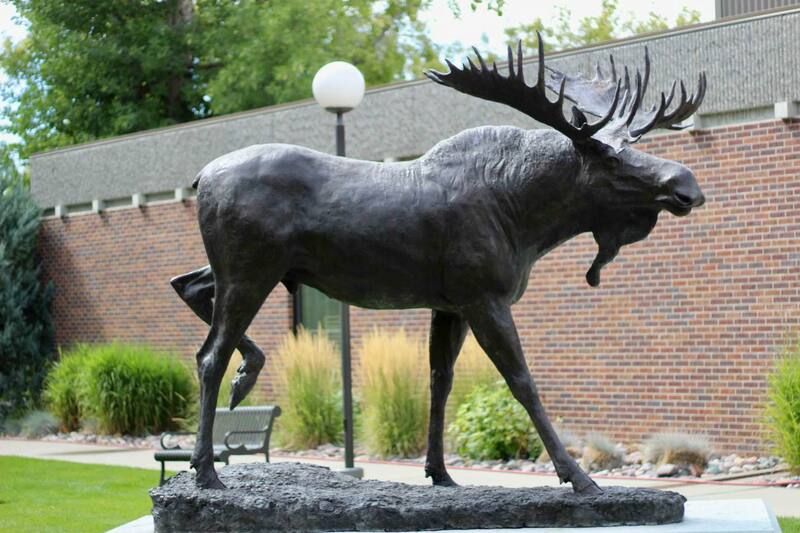 A visit to the museum is an excellent way to experience Montana’s history through art. Most Montana artists are known for depicting the state’s snow-capped mountains, herds of bison, tipis, barns, and other things that are classically “Montana.” However, if you’re interested in seeing some art that’s more modern, Paris Gibson Square might be just what you’re looking for. The museum features largely abstract and post-modern exhibits by contemporary artists from around the area, and offers free monthly tours and occasional art workshops. 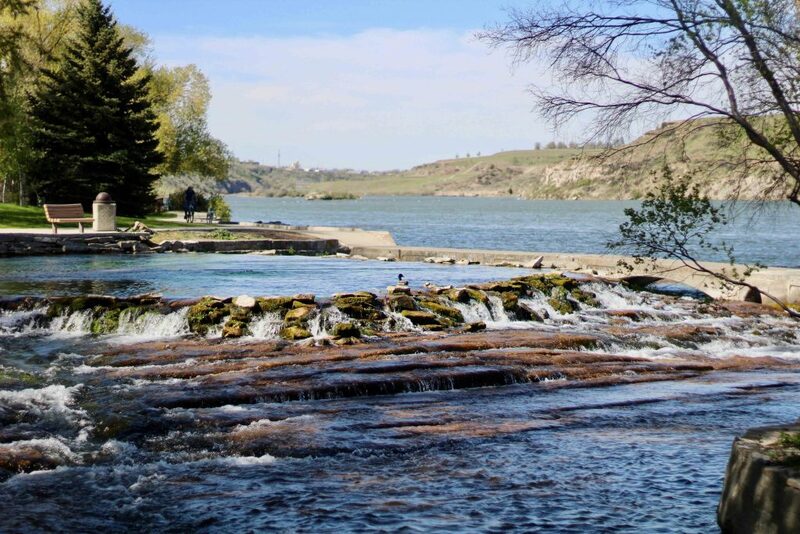 Historically, Great Falls’ biggest claim to fame might be that it’s the spot where the journey of explorers Lewis and Clark became much more difficult. When they got here, the town’s namesake waterfalls on the Missouri River prevented them from continuing farther upriver, negating the possibility of a Northwest Passage through North America (the Rocky Mountains would have stopped them in less than 100 miles anyway, but the falls were their first major obstacle). The Interpretive Center vividly recounts their journey through the Louisiana Territory and the various setbacks they faced. 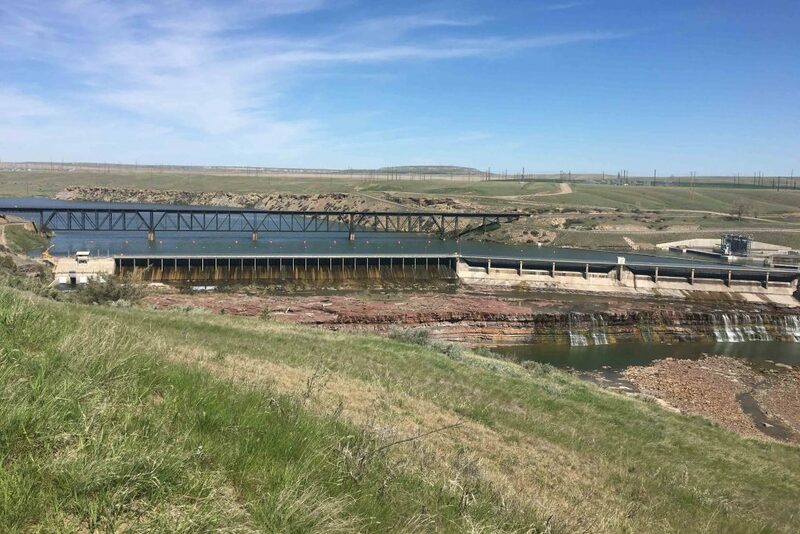 It overlooks a mostly undeveloped section of the Missouri River, giving you a sense of what the explorers might have seen in the early 1800s. The annual State Fair takes place in Great Falls during the last week of July, and it’s everything you might expect a small town fair to be. People come from around Central Montana and beyond to challenge gravity (and their stomachs) on carnival rides, try to win giant stuffed animals at game booths, eat deep-fried foods, view art and agricultural exhibits, show their livestock in competition, watch the rodeo, and attend nightly (usually Country/Western) concerts. Crooked Tree started off as a wedding cake bakery, before expanding to become the best place to get coffee in Great Falls. They source their coffee beans from Herkimer Coffee Roasters in Seattle, and the quality shows in some of the most flavorful java in town. Several of the syrups used in their lattes are made in-house, and the pastries, muffins, and scones are pretty amazing, too (but what would you expect from a couple of gourmet cake chefs?). Best of all, the cozy mezzanine overlooking the coffee shop is one of our favorite places to do some blog writing or just read a good book. These days, Great Harvest is a nationwide bakery chain selling freshly-baked breads and pastries. Little-known fact: the chain started in Great Falls, and the original store still operates downtown. The bread list rotates, but they’re all delicious, though we especially recommend the Cheddar Garlic, Cinnamon Chip, and Sunflower. Unlike some of the other locations, the Great Falls store doesn’t have any seating. No worries, though; if the weather is nice, you can grab a sandwich, or maybe just a scone, and head half a mile down the street to Gibson Park for a picnic. Before there was Starbucks (there are now two in town) and before there was artisan coffee, there was Morning Light. They opened back in the late 1980s and are still the coffee shop to visit if you’re looking to see some local color. 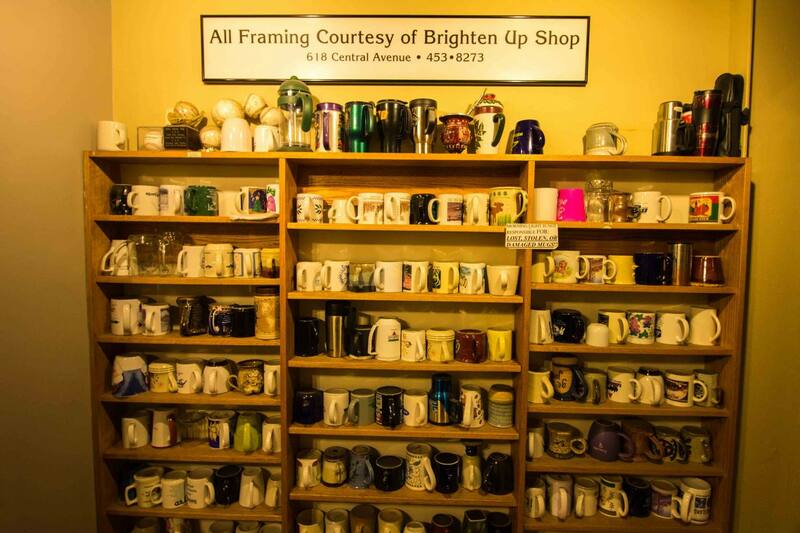 Regulars keep their personal mugs on a bookshelf towards the back, and fill them up each time they come in. That’s not to say this is just a place where old men go to read the paper and jabber with each other, though it is that kind of place. But they’ve also got really great coffee, which you can see roasting right behind the counter. 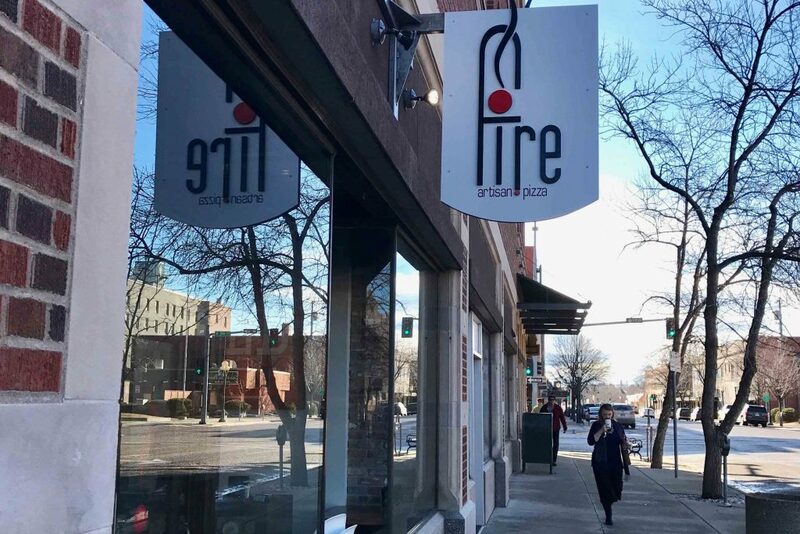 We may be a little biased by the fact that the chef at Electric City is one of our best friends from high school, but this is probably our favorite restaurant in Great Falls. 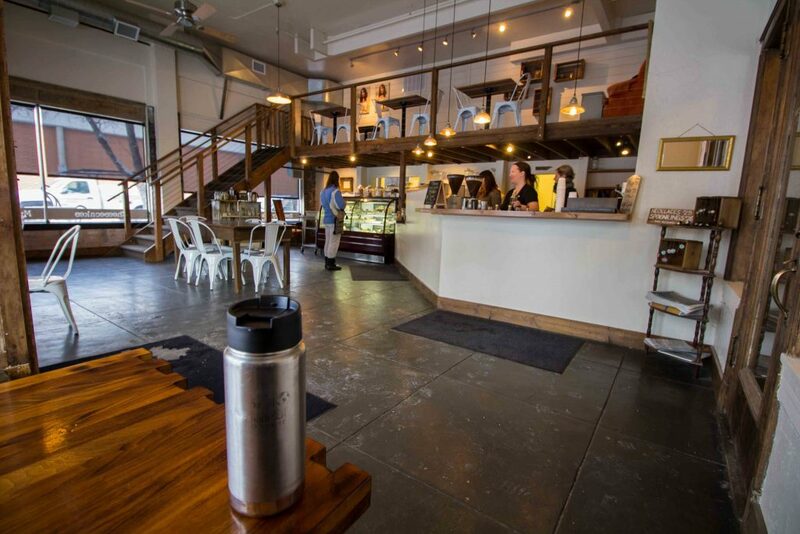 During the day, it functions as a coffee shop, albeit with great coffee and some excellent sandwiches, soups, and pastries. But evening is when they truly shine. The menu changes every two weeks, and the options are always really inventive (and amazing): pumpkin ravioli in almond and pistachio cream sauce, garlic shrimp fettuccine alfredo, zucchini “meat”balls, deconstructed s’mores, the list goes on. Electric City is also open for brunch on Saturday mornings, with a new menu every week. 5th and Wine (formerly Wines by Wednesday) is also a retail/café combo, with one side selling wine and high-end oils, vinegars, and chocolates, while the other side functions as a gourmet bistro. 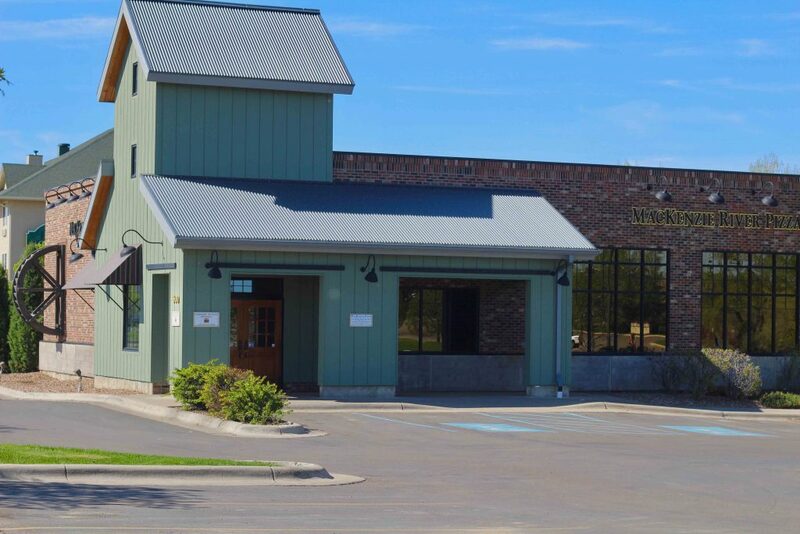 It’s one of the only places in town that serves a sit-down brunch, with mouthwatering options like asparagus and rosemary ham tart and winterberry bread pudding French toast. And if you prefer champagne over coffee on a Saturday morning, a different mimosa is served every week. The lunch and dinner options are equally enticing, like sous vide New York steak and pasta with goat cheese and grilled vegetables. MacKenzie River opened their first restaurant over two decades ago in Bozeman, Montana, and they were the first to bring really good pizza to Great Falls. Here, you can choose between a traditional thin crust or their signature sourdough crust, and from a variety of inventive topping combinations, like the Sequoia with pesto, artichoke hearts, and sun-dried tomatoes or the Branding Iron with hot Italian sausage, jalapeno peppers, and crushed red peppers. 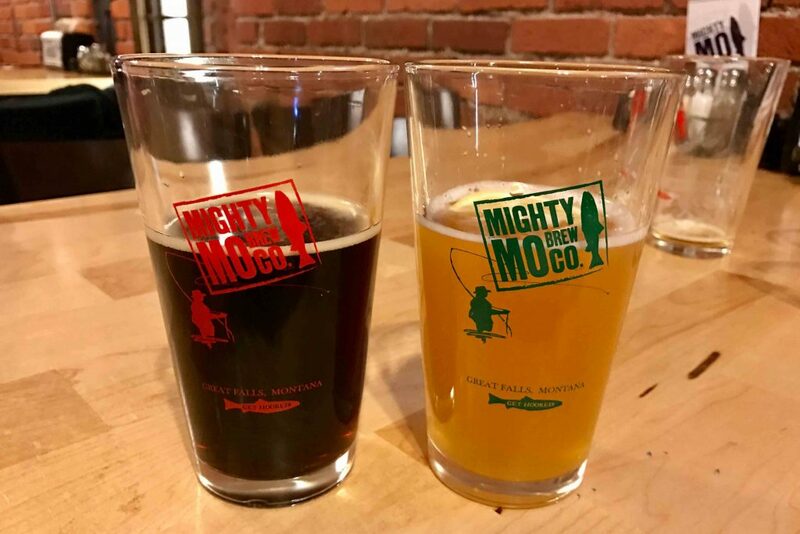 MacKenzie River also carries a great selection of beers from around the state, so even if you don’t make it to Bozeman, Missoula, or Whitefish, you can still taste the best brews they have to offer. Plus, the décor will make you feel like you’ve just walked into a ski lodge, which is ideally how you should feel whenever you’re in Montana. Fire literally just opened, making Great Falls the home of its third location and finally giving MacKenzie River a competitor for the title of best pizza (and the title of best rustic décor) in town. Their thin crust is the perfect balance of crispy and airy, and the menu lists pizzas made with gourmet and unusual toppings including fennel sausage, prosciutto, cashew satay sauce, and truffle oil. For a seriously delicious and unique option, try the Gordy: dates, Gorgonzola, mozzarella, olive oil, and balsamic reduction. No other bar stands out quite like the Sip ‘n Dip, which GQ rated “the #1 bar in the world worth flying for” in 2003. Opened as part of a small hotel in the early 1960s, it attempted to capitalize on the tiki bar trend that was sweeping the nation. While the fad may have died out in many areas, it lives on in Great Falls as “Polynesia on the Plains.” The ceilings are covered in bamboo, and their signature drink is a tropical cocktail served in a fishbowl, to be shared by a group of friends. 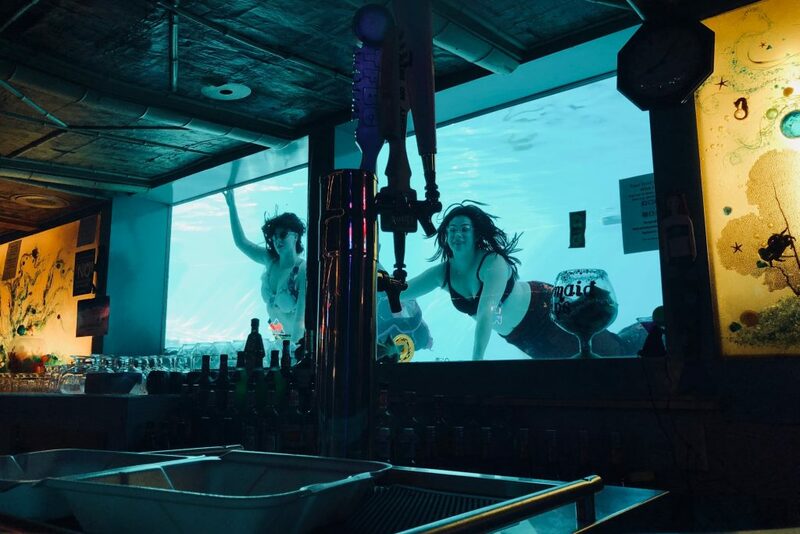 But the Sip ‘n Dip’s claim to fame is the window behind the bar that looks into the hotel pool, where women (and a few men) are employed as mermaids in the evenings – swimming around to entertain the customers. The bar’s most famous resident, though, is “Piano Pat,” who’s now in her 80s and has been singing and playing the piano there since it opened more than 50 years ago. It’s a delightfully weird experience and one that should be enjoyed by anyone visiting Great Falls. Bighorn has been the go-to place for outdoor gear as long as I can remember. There are other chain stores in town, but if you’re looking for top-quality gear and staff who know their equipment, Bighorn is where it’s at. If you’re heading out for a week in Glacier National Park and forgot your sleeping pad or maybe your titanium spork, they’ll have you covered. Plus, they rent out snowshoes and cross-country skis during the winter and kayaks and stand-up paddleboards in the summer. There are only two bookstores in Great Falls: a Barnes & Noble and one independent spot, Cassiopeia. As such, Cassiopeia ends up being more than just a place to buy a novel; it’s a place where the town’s literary aficionados and creative types can gather. It’s definitely got the closest thing you’ll find to a Portland-esque vibe in Great Falls. 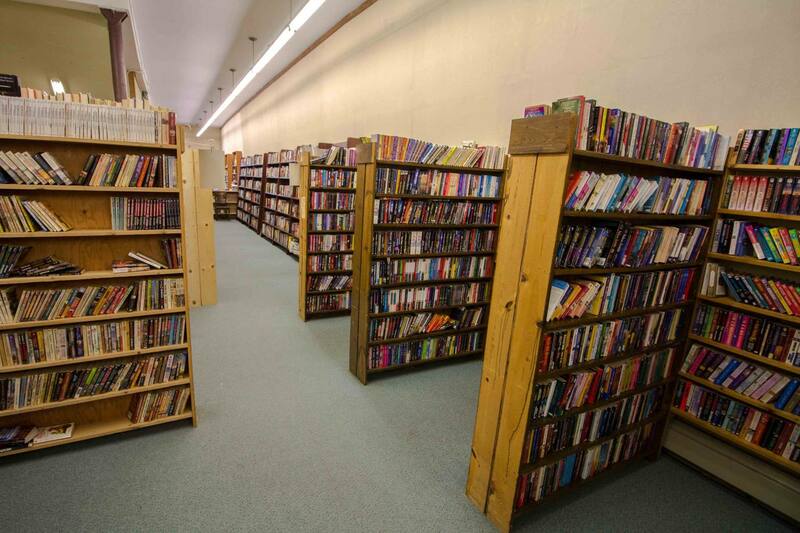 The store’s proprietor, Andrew Guschausky, has made great efforts to turn this into a community space where like-minded people can read, talk, mill around, and occasionally buy a book. Pizazz has been around for decades, and for most of that time, they’ve made a name for themselves selling high-end kitchen accessories. Now, their cooking classes and demonstrations and lunch counter also set them apart. The back of the store has a full performance kitchen like you might see on a Food Network show. Every Tuesday, they host their Tasty Tuesday Lunch, a meal and a one-hour cooking class for $15 (reservation-only), and they offer a rotating menu of Indian food for lunch on Wednesdays and Thursdays. 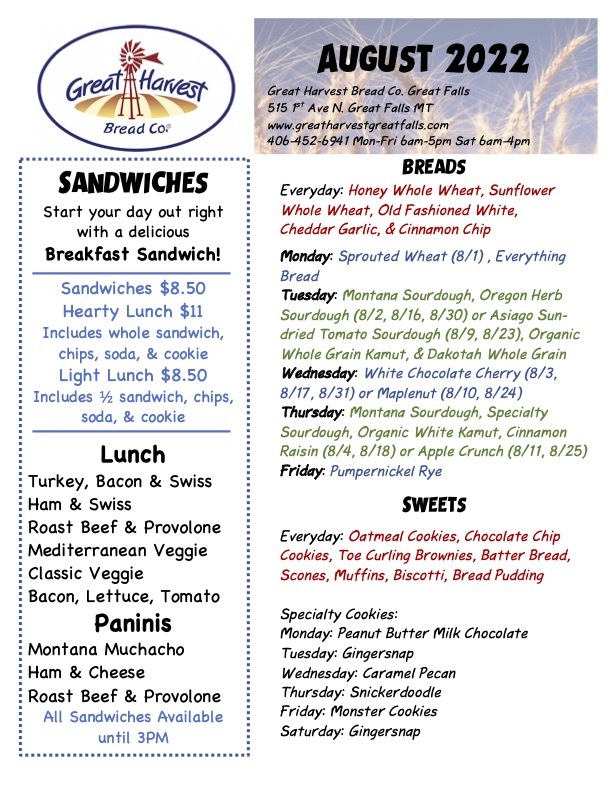 The menu is announced each week in their newsletter and on Facebook. 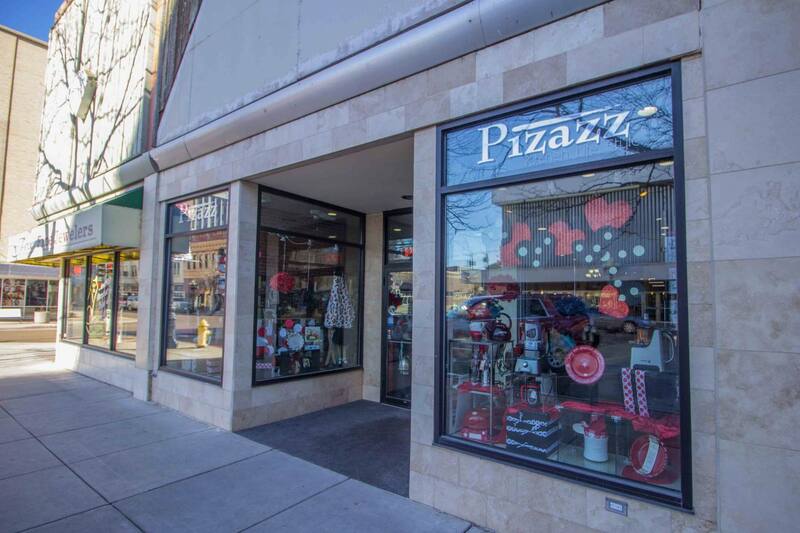 For a more intimate experience, Pizazz also offers more in-depth cooking classes at night, when the retail store is closed. For gifts and souvenirs that are truly local, Blue Ribbon should be your first stop. Everything in the store is made in Montana, including huckleberry products, gourmet foods, gift baskets, and art by area artists. 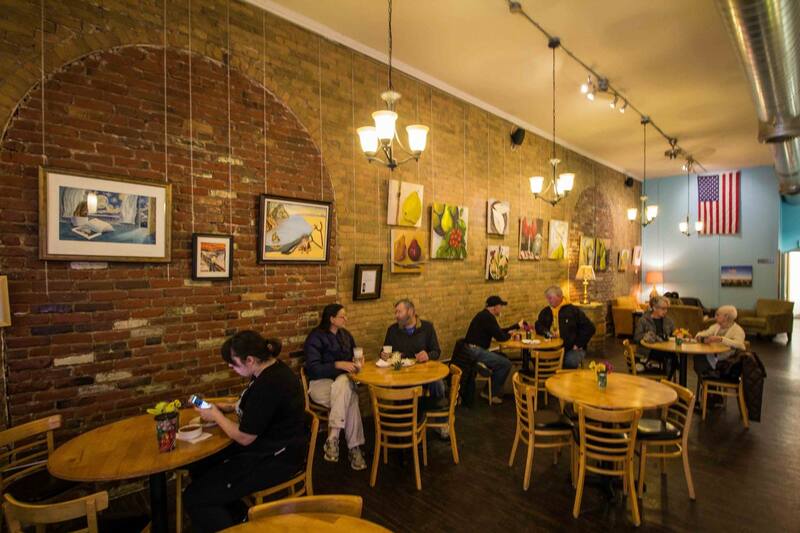 This fun, funky shop might have a stronger hippie vibe than any other place in Great Falls. You’ll find unique art, crafts, décor, and jewelry from local artists and from around the world, plus bath products, accessories, books, and other knickknacks. Many of their products are also eco-friendly and made from recycled or upcycled materials. To get in some workouts while you’re in Great Falls, you’ll want to head to The Peak, the town’s award-winning health and fitness club. You can choose from a wide range of group fitness classes, swim in one of the three swimming pools, relax in the sauna or steam room, or play a round of racquetball or squash. A guest pass is $15 for the day. The town’s two dedicated yoga studios, Yoga for Wellness and Mind Body Yoga, also offer daily classes in various styles. Or if you’re a CrossFit devotee, check out RPP Fitness, CrossFit 406, or Big Sky CrossFit. It may surprise you to hear that I’ve never been to a spa (here or elsewhere), although apparently Linda Michael’s has an entire dedicated men’s section. Otherwise, Jen says to try a pedicure at Studio Montage, a facial at Studio D Skin Care, or a massage at the Day Spa at The Peak. The River’s Edge Trail is a 60-mile-long network of footpaths flanking both sides of the Missouri River as it winds its way through town and then out to the five waterfalls that give the town its name. The trails provide the best opportunity for outdoor recreation in Great Falls: walking, running, biking, even inline skating. If you’re interested in biking the route, the Knicker Biker rents both road bikes and mountain bikes. The main trail starts at Oddfellows Park on the eastern bank of the Missouri, and follows it through a few other parks and along a rail trail that overlooks the first of the five waterfalls. After six miles, the trail reaches Giant Springs State Park, the site of the world’s shortest river (at 201 feet), where the spring water flows into the Missouri. It’s a great place to have a picnic or just take a break during your walk or bike ride along the river. There are hundreds of hiking opportunities within an hour of Great Falls, but one of the best trails is only 25 minutes away in Sluice Boxes State Park. The rugged main trail follows Belt Creek for nearly eight miles as it cuts a dramatic path through the foothills of the Little Belt Mountains. 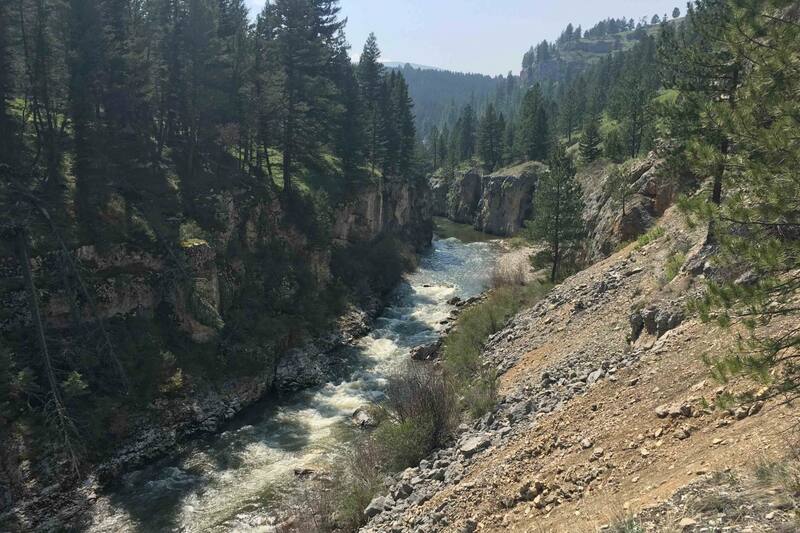 You can see remnants of the area’s mining past throughout the hike, as sections of the railway that hauled silver and lead from the canyon to smelters in Great Falls still remain. The trail crosses a creek a few times, which can be deep during the spring runoff until mid-June, so it’s best to visit after that. Ten miles outside of Great Falls is perhaps the world’s largest buffalo jump – to which you might be asking, “What’s a buffalo jump?” Hundreds of years ago, indigenous people would work together to usher herds of stampeding bison over a cliff, where they would fall to their death, which was a very effective hunting strategy before people started using horses and could chase down the herds. Today, the park has a few hiking trails along the rim of the buffalo jump, so you can see just what the bison saw right before they met their demise. At the base of the jump is a visitor’s center where you can learn about the history of the area and the native people who lived there. A visit to Montana during the winter months wouldn’t be complete without a day of cross-country skiing. 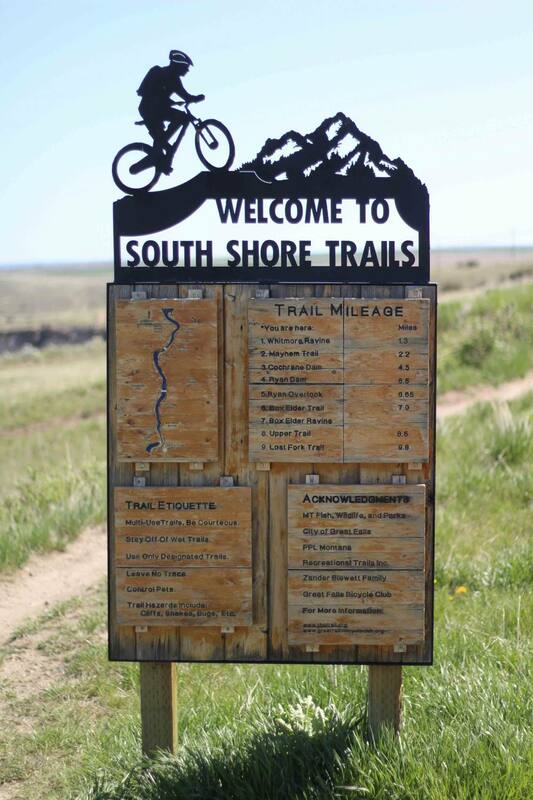 The Silver Crest Trail network is about an hour from Great Falls in the Little Belt Mountains. There are several loops ranging from one to six miles, which can be combined to create a full day of skiing. 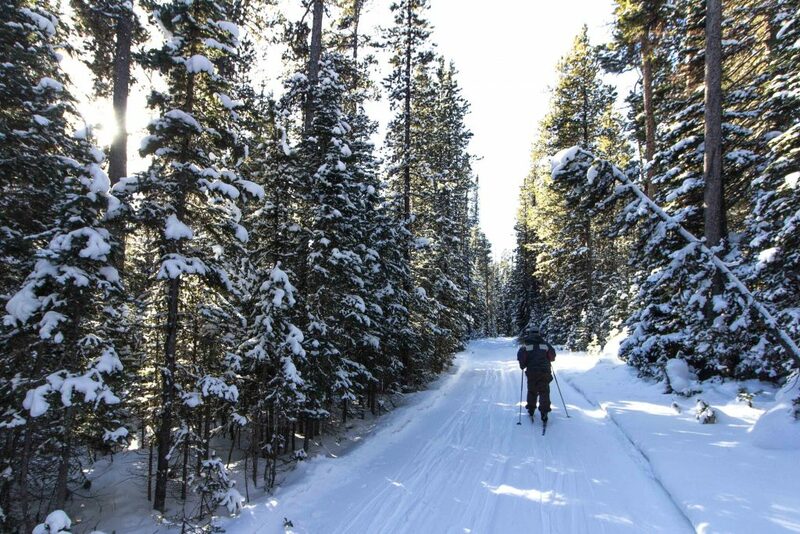 The trails are free to use, and a ski club in Great Falls grooms them periodically, so there are sections that are suitable for all levels. You can rent skis at Bighorn Outdoor Specialists. Great Falls doesn’t have much public transportation, so it’s almost a necessity to rent a car, particularly if you’re planning to do any outdoor activities beyond the city limits. That being said, Great Falls does have a bus system, with buses arriving every half hour or so, which can be convenient depending on where you’re staying. Uber also became an option last summer, but there hasn’t been a strong demand, so there are never very many drivers out (usually two or three at any given time). 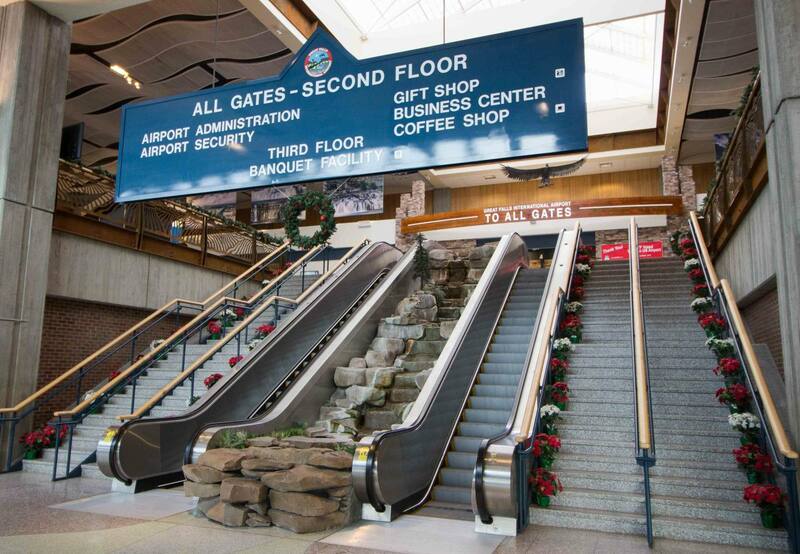 Where are the top attractions in your hometown? What would you recommend to visitors? Wow, Great Falls has changed a lot since I lived there in 1967 and 1968. My husband was stationed at Malmstrom Air Force Base, but we lived on 5th Avenue North close to Gibson Park. Other than Great Falls, I’ve lived in Southern California my whole life, but I especially remember how all the tulips bloomed in all the yards. The indoor mall out on 10th Avenue South was amazing since we didn’t have them in CA. I get it – it was a necessity in winter. I’d like to know if the manhole covers still fly up in the air during thunderstorms due to methane gas. Also, is The Paris department store still there? I loved all the old buildings – the courthouse, library, etc. Anaconda was there at that time, but was since destroyed. There were small stores throughout the residential areas – are they still there? The coldest day got down to 47 degrees below zero, but it didn’t feel any colder than 10 below to me. I loved seeing it snow, but as a California native, I was surprised that snow plows only cleared the main streets. If you were driving down an unplowed street, it was scary to make a turn. And the black ice was super slippery. I enjoyed reading about GF and how it has changed! No, the manhole covers don’t fly up in thunderstorms anymore, we must have fixed the sewers 🙂 I had to look up the Paris department store, because it was called the Bon Marche department store when we were growing up. Unfortunately, it’s gone and was replaced with a call center for a decade or so when we were kids, and even that closed down. 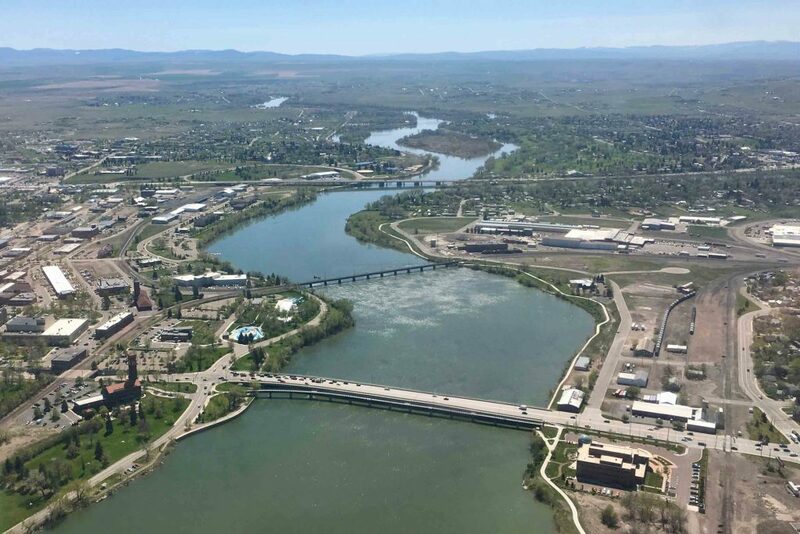 Like many small towns, Great Falls has an aging population and there aren’t too many opportunities for kids once they’ve graduated high school or college. The downtown are has had rough go, and there aren’t near as many small businesses in the residential areas anymore. When we were kids (late 90s and early 2000s) a new development was built towards the bottom of Gore Hill (where the airport is). This is where a lot of the big box stores are located now: Home Depot, Barnes and Noble, a lot of chain restaurants; it’s called the Marketplace Shopping Center. This is where most of the new developments have happened, with everything else being located on 10th Ave South – Central Ave and the downtown area were on the decline during our teenage years. 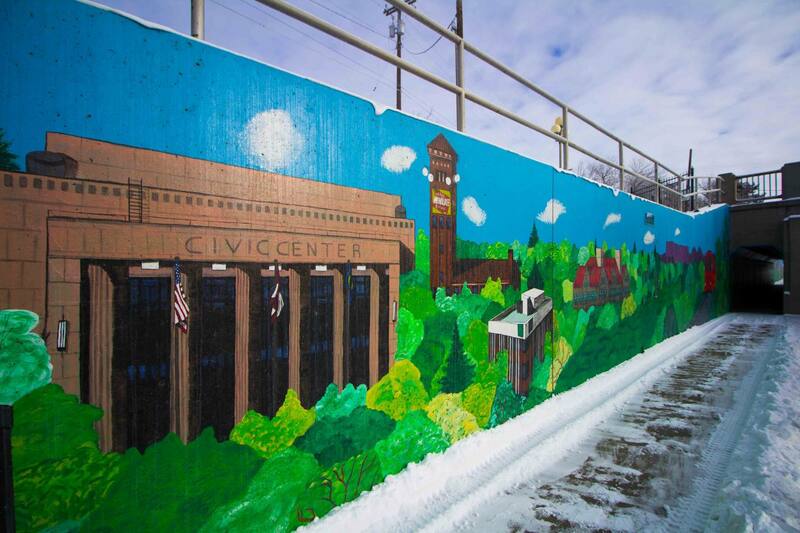 But we wanted to highlight some of the brighter spots with this post and show how the town might be back on the upswing. 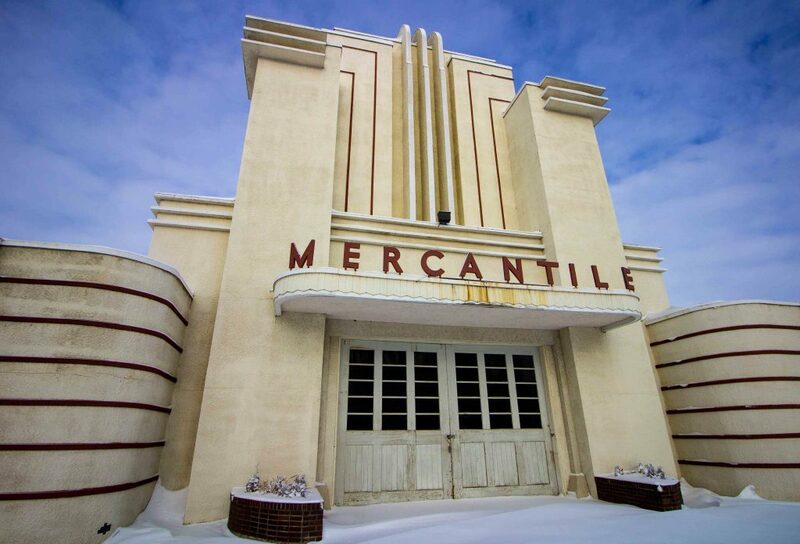 We love all the old buildings too, and we’re excited to see some of them being repurposed for new businesses instead of left vacant and in poor condition. Also having lived in Boston and experienced their winters, we know what you’re talking about with 47 below zero feeling more like 10 below. The air is so dry that it doesn’t chill you to the bone in the way that cold air off the ocean does. They’ve gotten better about clearing all the streets of snow and it doesn’t stick around long most winters because we get these warm chinook winds that melt all of it. It still get slippery, but Montana’s are really good at driving on ice, so it’s not too scary. 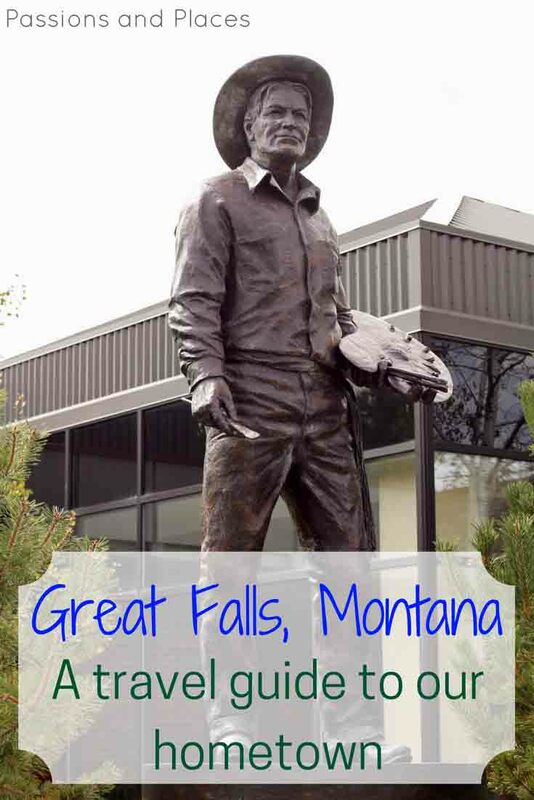 We’re glad that you enjoyed the post and that it brought back fond memories of your time in Great Falls. I imagine Montana has changed a lot in the past fifty years – there’s been so much change in just the past ten. I went to college in Bozeman, and in the five years since I’ve lived there, it’s almost unrecognizable with all new restaurants, stores, and ever expanding city limits. Sometimes I’m sad that it’s not the place I remember from my college years, but I’m also proud of its growth and change – that it’s thriving when so many small towns are foundering. I hope that same can be true for Great Falls and places all the other little places across Montana. Thank you so much for this! We are leaving for Great Falls in a couple hours, and even though we are from Canada, we want to do more than just shopping. Your post has so many awesome recommendations that we will definitely be checking out! Thanks so much for commenting Cathie, and I’m glad you found the post just in time! What all did you end up doing in Great Falls? Hope you enjoyed your trip! So glad you liked the article and excited that you’re thinking of visiting this summer. We’re going to be back there for a few weeks at the end of July and the beginning of August for a couple of weddings (and to go to the fair). Compared to the Houston Livestock Show the State Fair will feel pretty small, but it’s definetly the town’s biggest event and an exciting time. Thanks for sending our restaurant tips to your sister! My husband and I are moving to Great Falls in just 3 weeks and I’m excited to try/experience basically everything you’ve listed. Thanks for writing this! That’s so cool. Summer is the best season in Montana for outdoor lovers. Be sure to get out on those backroads and trails. Loved this post! My husband and I are wanting to move away from our over populated area in the South to a small (but not too small) town with our 19 month old. He loves Montana…drives the 26-ish hours every year for a week of hunting. I came across Great Falls on Zillow while searching for homes and fell in love with the homes. The more I research the town the more I fall in love with it. We love hiking and going for walks so I’m hoping to find a home with parks and local coffee shops within walking distances. Which area of Great Falls would you guys recommend? So glad you liked the post Heather. 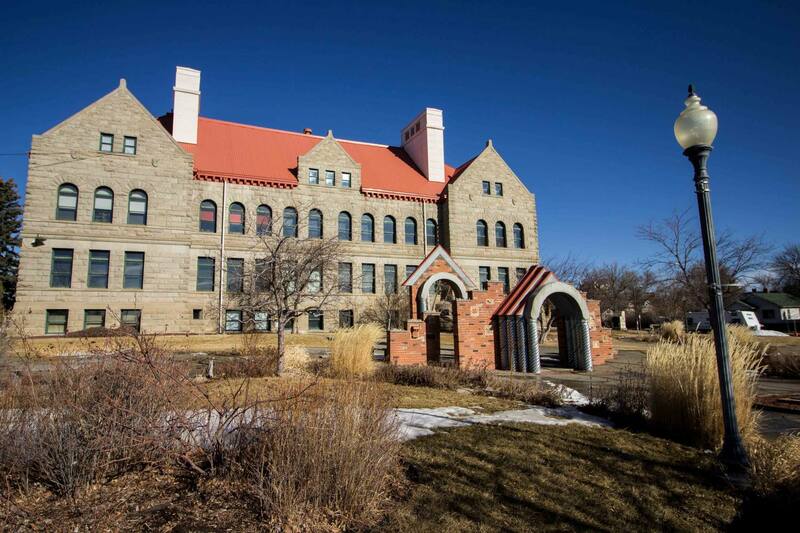 We’re going to send some information about Great Falls neighborhoods to your email. Ryan and Jen, loving your blog. 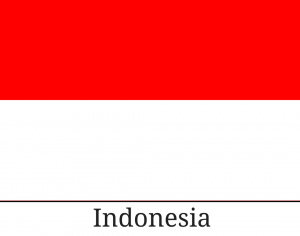 I’m a GF native and RPCV (Gabon 2002-2004) myself. Glad you included the Sluice Boxes on here 🙂 Keep up the good work and I’m excited to see where you go and write about next! I like it better with less tourists too. 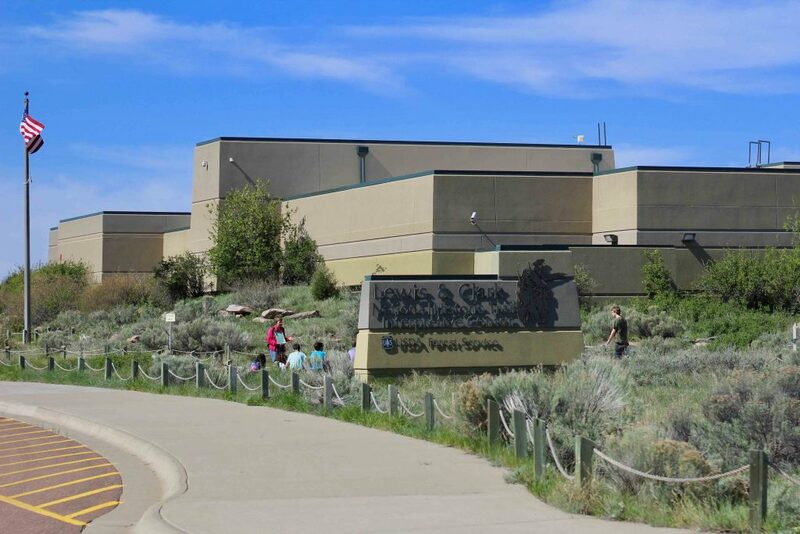 Want to try hiking at the Buffalo Jump park. Finding something great in a small town is always more satisfying; it feels like more of a discovery. 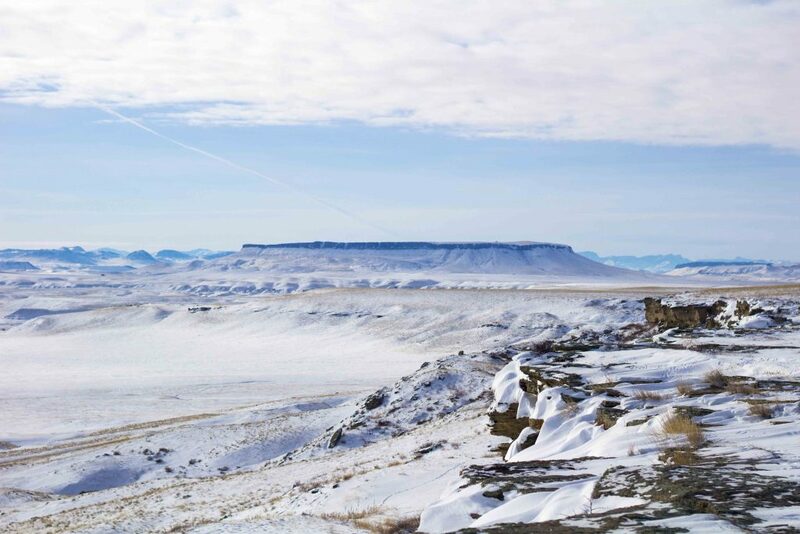 Also, the hike around the buffalo jump is amazing, and the most striking views are in the winter.